Dear AFA Families, As salamu alaikum. 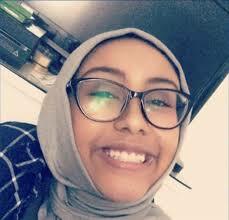 We are mourning the tragic death of Nabra in a Sterling neighborhood near ADAMS Center during the early morning hours before fajr this morning. Inna lillahi wa inna ilaihi rajioon. Let the tears run: if you feel like crying for the person who has passed away, even if you did not know her, go ahead and do it. It will help you feel lighter. Make space for others to cry as well. Try your best to share emotions with another person, encourage young people to talk about how they feel. Grief is different for everyone. If you’re angry, sad, mad, or even numb it’s okay. What’s important is to make sure you talk it out with someone and for young people to talk to a trusted adult. Write down your thoughts if it helps you process your feelings. Don’t be too hard on yourself for feeling numb or otherwise shocked especially if you knew her. You have to grieve in your own time. Adults need to carefully monitor their children as they allow them to have normal signs of anger, despair or sadness. Watch and listen carefully to check that their emotional well-being is not affected adversely. Children feed off of emotions from their environment. Adults must also be cognizant of their conversations about any tragedy around children, especially younger children. Disseminate information as appropriate. Do not spread information about what happened without clear evidence or facts. Do not create conclusions or outcomes that are not in some way already clear. Refrain from sharing just to be part of the public conversation. This affects us all. Be mindful in how you talk and have young people talk about what happened without creating more alarm or agitation. Talk to Allah (s). Make duaa individually and collectively- for her, her family and friends, and for yourself. He is always there and is the Most Merciful, the All Hearing and Knowing. Read Quran as much as you can individually and collectively. As time moves on, bring up the safety and security rules you have in place with your children and remind them of why these are important and necessary. If you would like information or resources on coping with grief, please contact us. We will also share any information about youth support activities for the community as they are announced. May Allah (s) grant comfort and serenity to the grieving parents, relatives, and friends of Nabra. We pray that Allah (s) embraces her with His Infinite Mercy and Love. Ameen. Police said Monday they are not investigating the murder of a Virginia teenager who they say was assaulted and then disappeared overnight after leaving a mosque in the Sterling area as a hate crime. The killing rattled a Muslim community in the midst of celebrating Ramadan, a month of religious observance in which adherents fast from sunrise to sunset for 30 days. The period culminates in the feast-like celebration Eid al-Fitr, which is expected to fall next weekend. [Police said Monday they aren’t investigating the death as a hate crime, but the issue was on the minds of many Muslims on Sunday. We are seeing a rise in attacks against Muslims, particularly targeting Muslim women who are veiled. We urge community leaders to increase security at their masajid and have open dialogue with their community to share and address local concerns, issues and experiences. It is crucial for us to come together and support each other as a community. We encourage our members to share the following resources with their local communities. The Muslim Youth of North America (MYNA) is hosting a webinar for young Muslims affected on Wednesday, June 21 at 5pm EST. Click here to join the webinar. The plea allows Darwin Martinez Torres, 25, to avoid a death sentence in the abduction, sexual assault and killing of Nabra Hassanen, 17. Torres encountered the girl while she and her friends walked to their Virginia mosque last year. Many feared Nabra’s killing during Ramadan in June 2017 was an anti-Muslim hate crime, but police have said they found no evidence it was motivated by bias.